Former Councilman Jeff Johnson at a CLASH press conference. In 2017, Cleveland City Council rejected petitions seeking referendum on a deal authorizing public funds for the expansion and renovation of the Quicken Loans Arena. Council Clerk Patricia Britt (and the council leaders and lawyers hiding behind her name) argued then that the petitions violated the United States Constitution. That argument, which was a clear effort to stall and subvert citizen action, was ruled invalid by the Ohio Supreme Court. Last week, City Council has rejected petitions yet again. This time, they’re arguing that the signatures submitted April 2nd by Cleveland Lead Advocates for Safe Housing (CLASH) seeking a ballot initiative for lead-safe housing legislation failed to include language required by the Ohio Revised Code. It is true that the petitions failed to include the required language. CLASH admits that it made a mistake by not including an all-caps disclaimer — "WHOEVER COMMITS ELECTION FALSIFICATION IS GUILTY OF A FELONY OF THE FIFTH DEGREE" — but notes that the petitions did include additional election falsification language. The redundant requirements seem to have no purpose other than to complicate citizen-led initiative and referendum efforts. CLASH acknowledges that the mistake likely means the law they wrote, which would require landlords to certify that their properties are “lead safe,” will not be placed on the November ballot. But they argue that the City Charter, not the Ohio Revised Code, governs city council's response. The signatures had already been deemed sufficient by Council Clerk Pat Britt and the Cuyahoga County Board of elections, and the City Charter (sec. 54) states that the proposed ordinance must be submitted to City Council at its next Meeting — Monday night. CLASH will gather to demand as much Monday. Former City Councilman Jeff Johnson, who sponsored lead legislation in 2017, which went nowhere fast, and now is a CLASH leader, told Scene that he's disheartened by the pattern of council leadership being dismissive of citizen action. "There are members of CLASH who've been involved in all three of the recent citizen-led petition drives," Johnson said Monday. "The $15 minimum wage, the Q Arena deal, and now lead. We've been through this process and we've seen council leadership, and the mayor's office, act this way before. Kevin Kelly is at the heart of this. I'm speaking for myself, but I've been on the inside, and his behavior is absolutely unacceptable. He continues to be antagonistic to procedures outlined in the charter. He is openly antagonistic and dismissive of the process." 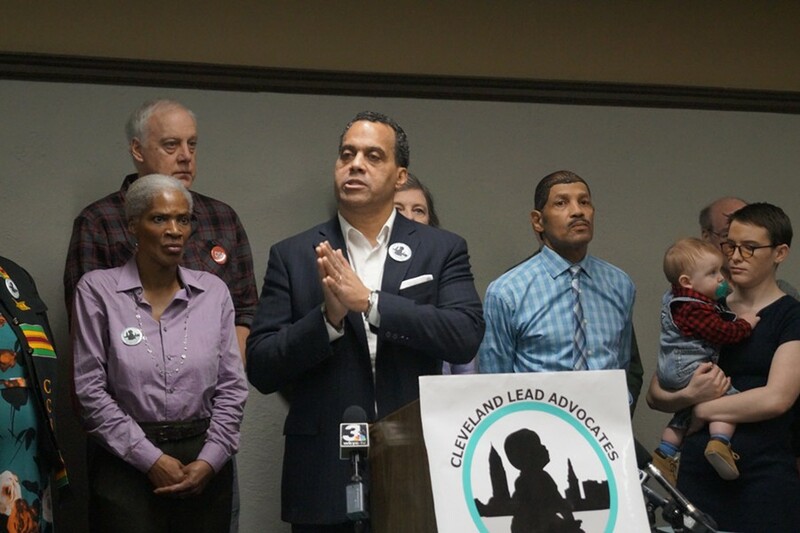 Kelley, throughout, has maintained that the most effective way to deal with Cleveland’s lead crisis is through the city-formed Lead Safe Cleveland Coalition (LSCC), whose policy committee is actively at work on recommendations. Johnson said that if Council refuses to certify the petitions, as CLASH believes they are required to do, a sitting council member could alternately sponsor the legislation. It could be introduced and amended in accordance with the city’s standard legislative practice. "Our reaction is not to go away, but to double down on our belief that when citizens act, they should be listened to," Johnson said. He added that CLASH members were committed to ending the lead crisis one way or another, and while he's hopeful that a court of law would side with CLASH's interpretation of the City Charter, he knew the coalition members would once again hit the streets to get signatures for a future ballot initiative if need be.